Reconditioned Vitamix - Discount blenders. Are they a good Deal? Below we guide you through the many choices of Vitamix Reconditioned blenders so you can order the perfect one for you. Get the best price on a Certified Reconditioned Vitamix. These are new model blenders that may had been a returned gift or gently used as a display or demo. Available direct or through Amazon. Units are hand picked and individually go through a 17-point inspection at the Vita-Mix factory to ensure they work like new. 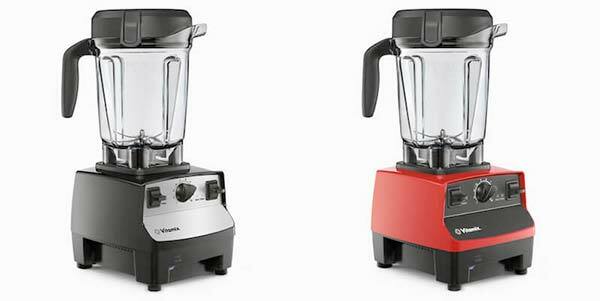 All Reconditioned Vitamix reviews are positive and Vita-mix guarantees the quality and durability of each blender. That’s a total of up to $325 in savings! 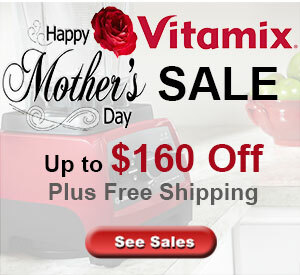 You will not find a better deal on a Vitamix used or new. Obviously you save money – you get an incredible blender at a reduced price. But at what cost? Essentially, for the added savings you give up 2 years of warranty compared to a new purchase. What are you really giving up? Consider that Vitamix blenders are built to last. it is NOT uncommon for a Vitamix to last 20+ years even with continual use. The fact is, most issues will present themselves within the first 1 to 2 years. Therefore, the 2-year difference in warranty coverage is negligible at best. 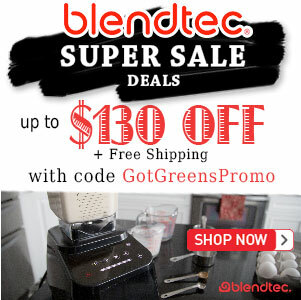 All blenders ordered direct from Vitamix comes with a 30-day free trial? You can try a Vitamix in your home risk free for 30 days. With our links you get free shipping and if for any reason you return your purchase within the time period you also do not pay for the cast to ship it back. This is true for Reconditioned Vitamix as well as new. Even though the base is “reconditioned”, brand NEW, never before used, container shell, lid, cookbook, and tamper comes with every blender purchase. Any other part or component that does not pass the rigorous inspection is replaced with a brand new part. The Smart System Ascent Series blenders are the latest release from Vitamix. The Ascent Series brings greatly improved aesthetic design, new technologyand new blending containers. See our complete » Ascent Series Review. Only two models are available reconditioned at this time. 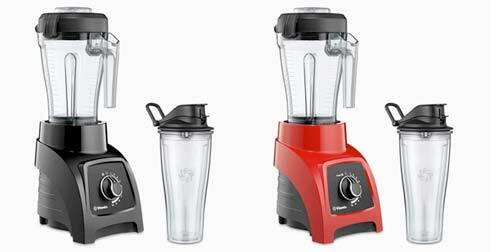 The Venturist v1200 is the Costco hybrid Smart System blender based on the Ascent Series. This model offers some of the new features of the Ascent models with a more old-style similar to the Classic Series. See our V1200 Review for more information. The Next Generation, also known as the G-Series, Vitamix introduced the major changes of a quieter motor, the shorter 64-ounce container, and improved control. The Certified Reconditioned Next Generation features the 7500 and are solid performing 2.2 hp blenders that are noted for taking Vitamix to the next level of blending. This grouping also includes the Pro 300 which is identical the the 7500. Available in Black, Red, White, and sometime Blue, these particular blenders sell out quickly when available. Currently the top of the line in the reconditioned blenders is the Certified Next Generation Programs. Featuring the Professional Series 750, this group includes models that introduced a major upgrade to Vitamix blenders – improvements including a quieter motor and the compact 64-oz blending container. This group also includes the branded 750 Heritage models. These blenders have everything that the Next Generation offers PLUS five Pre-Program blend setting (Smoothies, Frozen Desserts, Soups, Purees, and Cleaning). The Pro 750 quickly became our favorite Vitamix with the upgrades that came with the next generation release plus the illuminated controls. Colors of this group include black, brushed stainless, white, and copper. These reconditioned blenders do not last long when they become available. In our opinion these are the best value Vitamix. The Certified Reconditioned 780 is technically a Next Generation Programs but is listed on its own because it was later released as a unique model and is the only Vitamix with a completely flat panel touch control. This can be available in Black or Red. The first Reconditioned Vitamix introduced was the 5000 around 2009 shortly after the release of the 5200. The Certified Reconditioned Standard features the classic 5200 and all of the remaining C-Series models that remain in production. The Reconditioned Standard blenders are the flagship models that launched Vitamix to truly a household name. With the introduction of the 5200, the containers became BPA-Free and more power was added to the motor. The variable speed control is what defined this generation of Vitamix. Included in this group are the Vitamix 5200, Vitamix CIA, Vitamix Creations, Vitamix Pro 200, Vitamix Nutrition Center, and the Vitamix TurboBlend VS. These models are slowly becoming less available with the new series releases of the Ascent Series and the Explorian Series. After the 5200 C-Series had taken the kitchen world by storm Vitamix soon introduced their first blenders that offered programmed blend cycles. This was mainly to compete with Blendtec, the performance blender company that had capitalized on programmed blend cycles. The Certified Reconditioned Standard Programs include the Professional 500 and its rebranded model 6300. 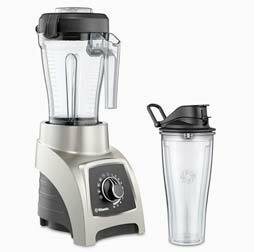 These blenders have the same powerful base as the Standard plus the added three pre-program settings Smoothies, Soups and Frozen Desserts. With the release of the Ascent Series blenders these have seen a dramatic price reduction and are a great option if you are wanting a Vitamix with program cycles at a low price. The Vitamix 5300 was a one-off creation that bridged the Classic models with the Next Generation. Essentially it comes with a Classic motor that has been slightly upgraded to accommodate the popular compact 64-ounce container. The production of the 5300 has been replaced with the Explorian E320 so it is expected that reconditioned inventory will become depleted in the near future. The Certified Reconditioned 5300 offers the best of both worlds, the low-price of a classic blender and a compact 64-oz container of the next generation. If budget and a low-profile container is your main goal then don’t pass up the opportunity to get one of these. The Explorian Series is now available reconditioned. Save money by ordering a Reconditioned E320. This series was created to offer a lower-end more affordable Vitamix. See our complete review of the Explorian Series. At this time only the E320 with the compact 64oz container is available. This is the identical blender as the E310 but with a larger container. Available colors include Black and Red. The Certified Reconditioned 2-Speed represents the older Vitamix model design before they introduced the variable speed dial. While becoming more challenging to find new, they do on occasion become available as reconditioned units. This group features the legacy Vitamix 2-Speed model also named Vitamix TurboBlend, Vitamix Creations Turbo, CIA Creations, and Vitamix 4500. This is the feature simple Vitamix with all the power necessary for high-performance blending. They don’t have a variable speed control, only a high and low speed switch but for the price, you can’t get a better performing blender, when available. 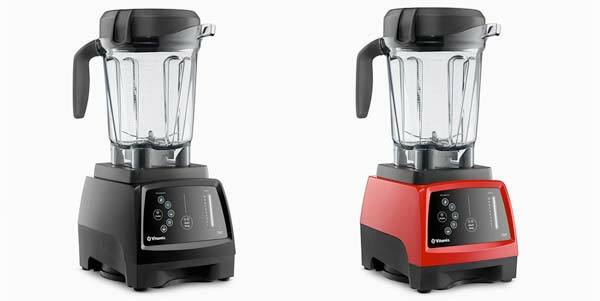 In 2014 Vitamix released their Personal Blending Series starting with the Vitamix S30. This redefined how performance blenders could be used. 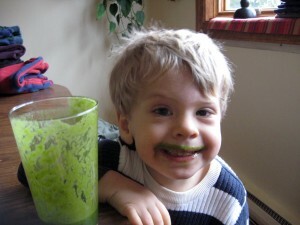 This series featured a smaller, more portable-sized blender with the power you would expect from Vitamix. Designed for small and single servings the Certified Reconditioned S30 comes with a 20 once travel blending container and a personalized 40oz small batch container. These blenders are a fabulous offering for one or two people households or for a performance blender on the go. When available, the Reconditioned S30 is a great choice when all you need or want is a small blender or if you are looking for a second Vitamix just for your travel needs. Shortly after the release of their Personal Series, Vitamix come out with the S55. The Certified Reconditioned S55 is the high-end upgrade to the S30. It includes four pre-programmed blend cycles – Smoothies, Frozen Desserts, Dips & Spreads, and Power Blends and is only offered in brushed stainless color.